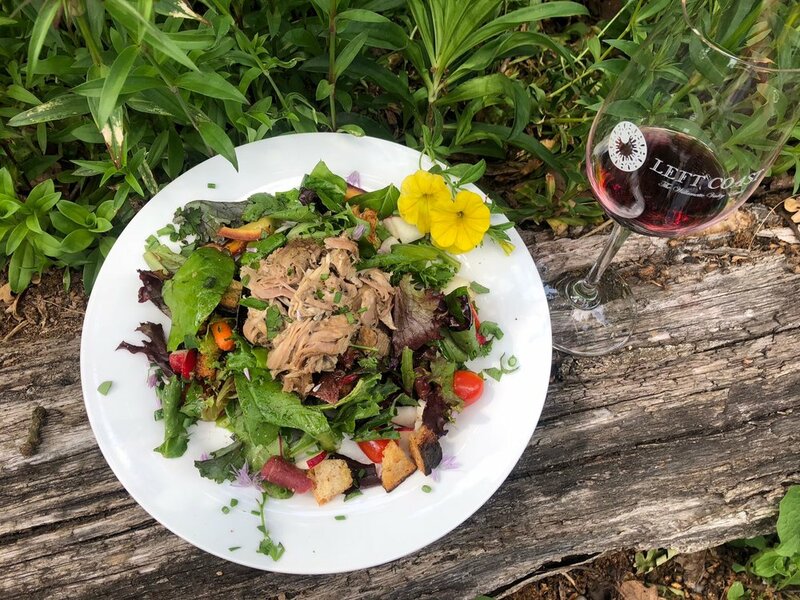 A seasonally inspired wine and food pairing experience featuring Left Coast Estate’s vineyards, gardens, greenhouse, and edible landscape. Working with local purveyors, foragers, and our estate grown produce we pair five estate wines with carefully crafted small plates showcasing the bounty of the region. Our hospitality team will guide you through the history of Left Coast Estate and art of food and wine pairing. *Advanced reservations required. *We will do our best to accommodate dietary restrictions, however modifications that compromise the integrity of the pairing will not be granted. Tour and taste through the Left Coast property in the back of our 1950 Chevy vineyard truck. Sip the wines among the vines producing the grapes that end up in the glass. Learn about our varied microclimates throughout the estate, as well as taste our vineyard designate series. Each vineyard features a different clone of Pinot Noir and its own unique growing conditions. Finish back in our cozy tasting room to enjoy a glass of wine from our current tasting flight. *Advanced reservation required. This fun, educational tasting pairs our current tasting flight with our famous wood-fired pizza. Hosted in our culinary classroom in front of the pizza oven, learn the art to pairing wine with pizza. *Advanced reservation required.